In Princeton’s game notes, their game with Lehigh is billed as a “local rivalry”. It is true that the campuses of Princeton University and Lehigh University are reasonably close to one another, separated by about an hour and a half by car. And though Princeton and Lehigh have never shared a conference, this will be the 60th time these two football teams have faced off against one another. It’s going to be a game that will be a big test for themselves before they reach conference play. The one thread unifying all of these tussles, from the very first meeting in 1887 to the one happening this Saturday, is that the game is a serious “test” for both squads, a measuring stick for both teams before heading into their conference for the games that will determine their conference championships. Both the 3-0 Tigers and the 1-3 Mountain Hawks seem to grasp that concept as nationally-ranked Princeton aims for a possible undefeated season while Lehigh looks to get set to try to win their third straight Patriot League football championship and potentially earn a third straight FCS Playoff spot. The story of these ancient local rivals began in 1887, only three years after Lehigh started their first intercollegiate football team. Princeton had already played nearby Lafayette a couple of times in 1883 and 1884, and with Lehigh starting up a program of their own they were eager to add another small start-up program to essentially scrimmage against. Princeton, whose national championship teams featured early football legends like Henry “Tillie” Lamar, Phillip King, Edgar Allen Poe (second cousin of the famous poet and writer), seriously outmatched start-up squads like Lehigh and Lafayette. In fact in those early years there was a stretch where Lehigh went 0-27-2 against Princeton, and shutting out Lehigh was basically expected. Lehigh’s first win against Princeton would come in 1930, when Austen Tate’s squad, having been shut out in three straight games against Gettysburg, Penn and Muhlenberg, would unexpectedly score two early quick touchdowns against a team that they had never beaten and make it hold up for a stunning upset. In more modern times, games between Princeton and Lehigh have been much more competitive. In the last ten years, the Mountain Hawks only hold a slim 5-3 advantage, with half the encounters determined by a margin of a touchdown or less. On one side of this rivalry, there is some huge momentum coming into this matchup. 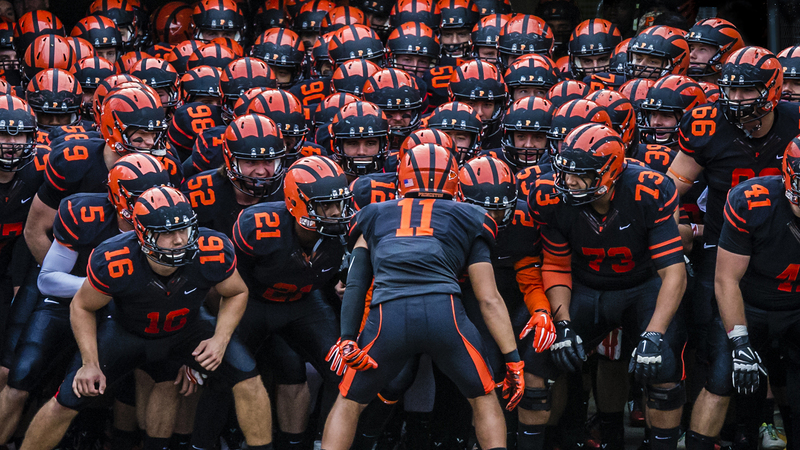 Through three games, Princeton sits in the Top 10 of FCS team rankings in both total overall offensive yards (565.0 per game, 2nd) and total overall defensive points allowed (8.7 points per game, 3rd). If that weren’t intimidating enough, the Tigers haven’t allowed a second-half point yet all season – something that might take on extra significance, considering Lehigh’s inability to score a second half point against Penn two weeks ago. 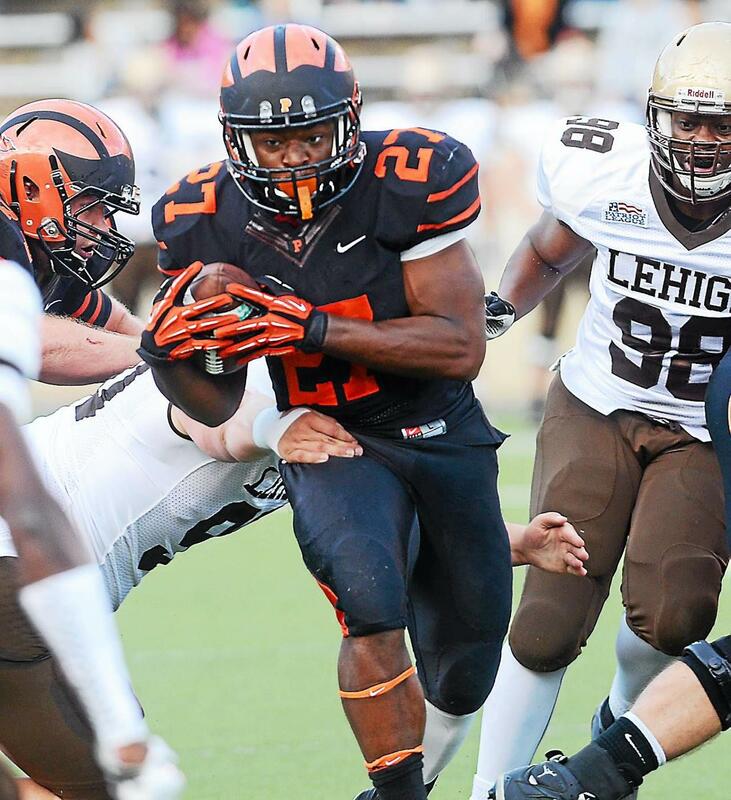 Based on their first three games, Princeton is on the brink of a special season, and closing out their out-of-conference slate with a resounding, double-digit win over Lehigh would be the perfect jumping point to their goal of a 10-0 season and Ivy League perfection. On the other hand, Lehigh enters this game 1-3 with three tough, challenging losses in a row to nationally-ranked Villanova, bowl powerhouse Navy and two weeks ago to Penn, 30-10. DL Harrison Kauffman said this week that Lehigh used this week to refocus after that disappointing loss to the Quakers. Harrison noted a “hunger” in this season’s team that he hadn’t seen in other teams to turn things around and get better. This was echoed by Lehigh head coach Andy Coen to Keith Groller of The Morning Call. DL Davis Maxie also agreed. Two teams trying to prove they’re the real deal before conference play starts – that’s the Lehigh/Princeton series in a nutshell.